Continuing our tradition of honoring political and cultural leaders who are working to perfect American pluralism by championing the civic and political empowerment of American Muslims, we are proud to have honored Katie Couric, news anchor, producer and documentarian, Vanita Gupta, champion of human and civil rights, and Halima Aden, UNICEF Ambassador and model at our 2018 Empowering Voices Awards in DC. Katherine Anne Couric is an American journalist and author. She recently served as Yahoo! Global News Anchor. Couric has been a television host on all Big Three television networks in the United States, and in her early career was an Assignment Editor for CNN. Vanita Gupta is the President and Chief Executive Officer of the Leadership Conference on Civil and Human Rights. Previously, she was the Principal Deputy Assistant Attorney General and acting head of the Civil Rights Division at the U.S. Department of Justice. Is an American fashion model. She is noted for being the first woman to wear a hijab in the Miss Minnesota USA pageant, where she was a semi-finalist. Following her participation in the pageant, Halima received national attention and was signed to IMG Models. Since 2013, the MPAC Empowering Voices Awards have honored political and cultural leaders working to perfect American pluralism by championing the civic and political empowerment of American Muslims. We bring together the nation's most influential advocates to celebrate causes and individuals who have worked with us to champion the American and Islamic values of freedom, justice, and equality for all. Our honorees go beyond simply acknowledging others as communities of faith, ethnicities, and race. They empower communities' civic and political engagement to ensure that America grows as an inclusive and pluralistic society. They increase understanding and improve policies so that our vision of an America enriched by the vital contributions of American Muslims becomes a reality. 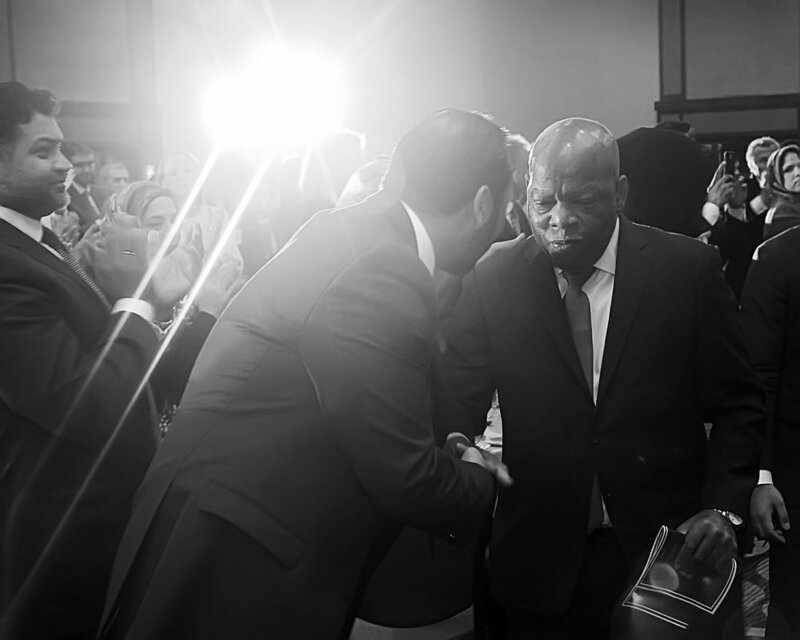 Past honorees include DNC Chair and then Secretary of Labor Tom Perez, Senator Patrick Leahy (D-VT), California Attorney General Xavier Becerra, NPR Journalist and "Serial" podcast creator Sarah Koenig, and civil rights icon, Rep. John Lewis (D-GA), among many others. Attendees include government officials, media professionals, civic leaders, community activists, and young leaders. The Awards also serve as an opportunity for like minded professionals to network and celebrate our wins.